YouTube End Screens can be added to the last 5 to 20 seconds of a video. You can use them to promote other videos, encourage viewers to subscribe, and more. They are a great way to increase your viewers engagement with your channel (which the YouTube algorithm LOVES!). Want a BUNCH more YouTube video templates (plus Motion Titles, Video Templates, and more)? Of course, I scored a FREEBIE FOR YOU. Growing your YouTube channel and authority requires that you look GOOD and credible. 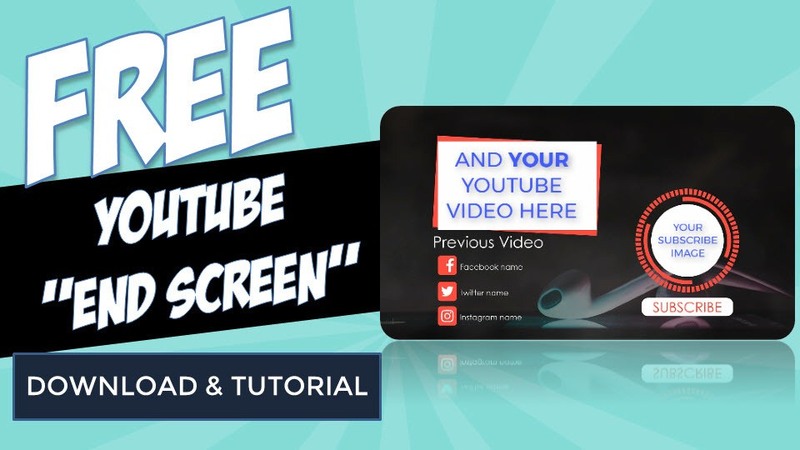 Using templates like these for your Channel Art, YouTube Thumbnails, and End Screens is a time & frustration saving way to accomplish that (especially if you are NOT a graphics designer! ).